Comedy Central is the go-to station for millions of Americans looking for a laugh…until they take a look at their cable bill. There’s nothing funny about high cable bills, especially now that alternatives to TV are laughably easy to subscribe too. Good thing too because we can only make so many hilarious laughter puns to keep America entertained. When Comedy Central was created in 1991, cable subscriptions were the only real option to watch it. With the rise of streaming services, shows like The Daily Show with Trevor Noah, South Park, and Tosh.0 are no longer locked behind these expensive cable subscriptions. Not only can you stream Comedy Central live without cable, you have plenty of options to choose from. This article will explain the best of these options including, Philo TV for $16 a month, DirecTV Now for $40 a month and everything in between. What do I need to use a live TV streaming service? If you’re not familiar with live TV streaming services, they can seem a little intimidating. There are a lot of options to choose from and no one comes to your house to set it up for you like they would with cable. But rest assured, it’s surprisingly easy. If you’ve used Netflix or Hulu before, live TV streaming services are essentially the same thing but offer live TV channels that you’d get with cable instead of on-demand content. You subscribe to them on the service’s site and are charged monthly but can cancel at any time. This makes them fantastic for subscribing while a certain show is in season and also makes it really easy to swap between them as your interests or time commitments change. Like Netflix and Hulu, live TV streaming services do still need an internet connection. Although you’ve probably heard cable companies claim that their “bundle deals” are the cheapest way to get internet, this couldn’t be further from the truth. In fact, standalone internet packages are not only much cheaper than bundle deals, the internet speeds you’ll get are typically a lot faster. Since cable companies make more money by selling you bundle deals, it stands to reason that its difficult to find the cheaper standalone internet options. Thankfully there are a lot of free tools on the web that do exactly that for you. 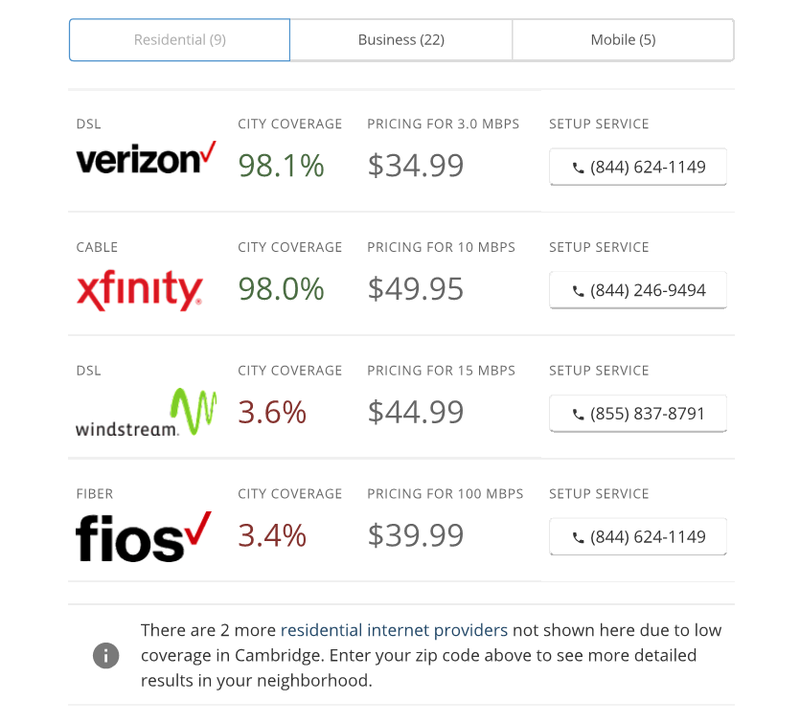 We’ve written a guide on how to get cheap internet without cable that outlines our favorite tool, Broadbandnow, to easily compare packages available at your location. The second thing you’ll need if you plan to watch Comedy Central live without cable is a streaming device. Although the streaming services we’ll outline in this article can be watched on a mobile device or computer, if you want to watch it on your big screen you might need some help. You can think of a streaming device as a “cord cutter’s cable box” that lets you watch streaming services directly on your TV. These streaming devices are fairly cheap and are typically under $100 if you’re not getting the premium versions. Although it’s a slight expense when you first cut cable, not having to pay for equipment rentals or if you switch providers will save you a lot of money in the long run. 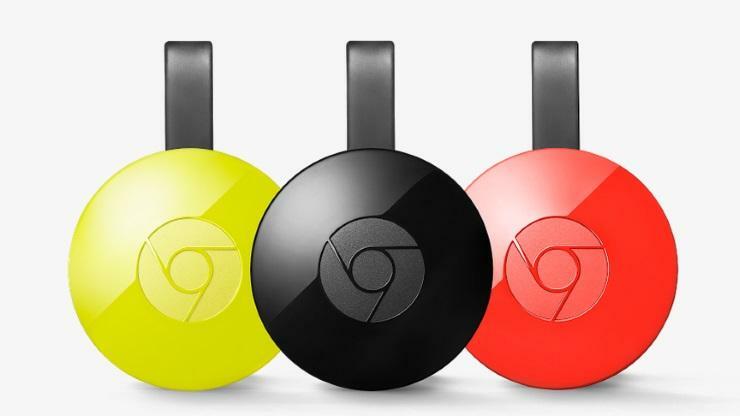 There are a variety of streaming devices on the market and each has its pros and cons. The biggest con for a device is if its not compatible with the service you want to subscribe to. We’ll try and mention compatible devices at the end of each service’s outline below to help you make an easier decision. 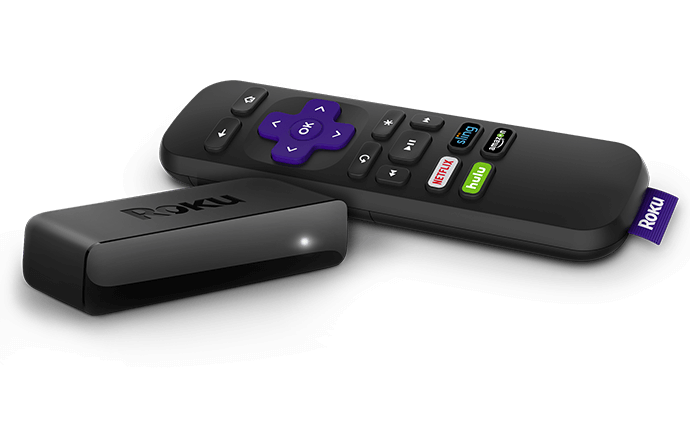 If you’re looking for an overall safe bet, we typically suggest Roku devices to our readers. They’ve been a major player in the streaming industry for a number of years, are compatible with most services, and are super simple to use. They’re also some of cheapest devices on the market, especially considering their quality. Philo TV is a relatively new service and has taken the streaming world by storm with its incredibly low price point and unique channel line up. Their main package, Philo TV 43 Channels, only costs $16 a month for all 43 channels. Besides services that provide a single channel (like CBS All Access), Philo TV is hands down the cheapest streaming option to watch live cable TV. Although cheap, Philo TV doesn’t fill their package with useless channels that no one wants. Their channel lineup includes popular channels like A&E, AMC, BBC America, HGTV, History, Lifetime, Discovery and plenty more in addition to Comedy Central. Philo TV also carries kid’s channels that include Nick, Nick Jr., and Teen Nick that can be quite difficult to get without a cable subscription. The image below shows the current Philo TV Channel Lineup for their base package. An important note for the Philo TV channel lineup is their complete lack of any stations that air sports. This means that Philo TV doesn’t carry ESPN, TNT, ABC, CBS, or any other local channel including regional sports networks. This may seem like a glaring issue with the service, but it’s actually Philo TV’s entire strategy. Local channels, regional sports networks, and premium channels like ESPN are really expensive for service providers to include in their channel lineups. Rather than reduce their channel lineup or increase their cost, Philo TV opted to do what no other provider is doing and completely exclude them. Streaming services are intended to stop consumers from having to pay for content they don’t want and Philo realized there is a significant amount of Americans who don’t care for sports at all. Although they don’t offer local channels, Philo TV does carry a slightly larger package option to add some different channels to the lineup if you’re looking for more. The 55 Channels package costs $5 more a month and adds 12 channels. These added channels are shown below. Philo TV doesn’t only provide an awesome channel lineup with the savings from excluding sports, they also give you plenty of features. Their DVR allows for unlimited recording which is a huge leg up on a lot of its competitors. Although they don’t restrict the quantity you can record, Philo TV does start to delete content once it hits a 30 day shelf life. You won’t be able to watch content forever, but 30 days is a surprisingly long time in today’s TV world. Another feature we like about Philo TV is that they offer three simultaneous streams. If you’ve shared a Hulu or Netflix account with other people in your household you may have experienced everyone’s favorite error message about too many simultaneous streams. Three streams doesn’t necessarily fit the entire family, but it’s more than expected from such a cheap service. The second cheapest option to watch Comedy Central live without cable is with Sling TV. Sling TV is one of the biggest names in the industry and is trying to become “true al la carte TV”. 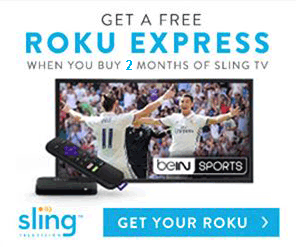 Although not quite al la carte yet, Sling TV’s unique package strategy does a pretty good impression. The way Sling TV works is you can subscribe to one of their “base” packages and then add “extra” packages to help customize your channel lineup. For example, if you have kids who will be using the account Sling’s Kids Extra adds TeenNick, Nick Jr., Disney Junior, and a few other kids stations. Other extras include Sports, News, Lifestyles, Locals, and a few others that group channels of a certain genre together. To watch Comedy Central on Sling TV you’ll only need one of the base packages. Both the Sling Orange and Sling Blue packages cost $25 a month and both include Comedy Central. The two stations share a bunch of channels, but there’s some major variation between the two. If you can’t quite decide or if you want both packages, you can subscribe to both for a discounted rate of $40 a month. While Sling TV prides itself on being a “skinny bundle”, it can be deceptively expensive based on what channels you’re looking for. A $40 subscription to Orange and Blue can quickly get out of hand if you’re adding a couple of Extra packages and Premium channels like HBO or Showtime. Keep in mind that there might be another service like the ones below with a higher price of entry that actually ends up cheaper than your personalize Sling package. DirecTV Now is a great service with a terrible name. A lot of people are aware of DirecTV the satellite company that offers live TV with a contract and satellite installation. Although both services share a name and are owned by AT&T, DirecTV Now does not require a satellite. It doesn’t even have a contract! DirecTV Now is AT&Ts internet TV service similar to Philo TV and Sling TV. At $40 a month, even DirecTV Now’s smallest package is much more expensive than both Sling and Philo. The reason for the price tag is that DirecTV Now offers an experience that is the most similar to cable. 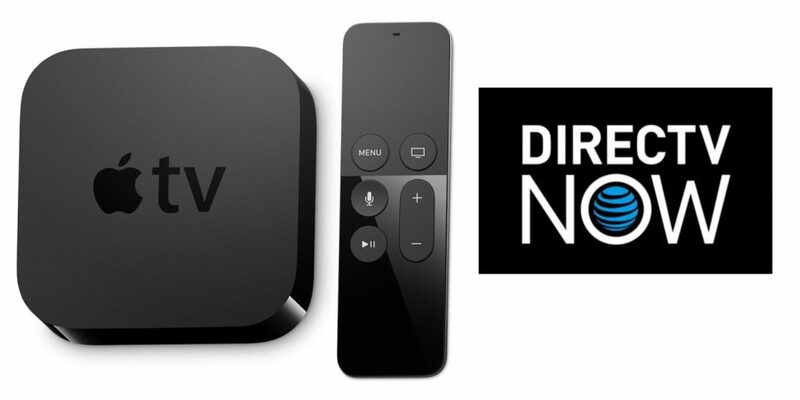 Live a Little, DirecTV Now’s $40 package, comes with over 75 channels including local stations, sports networks, and some of the hardest to find regional sports networks. Unlike Philo or Sling who offer minimalist options to cord cutting, DirecTV Now aims to replace your cable bill without sacrificing channel quantity. DirecTV Now has recently announced a cloud DVR service that lets subscribers record 20 hours of content. Although 20 hours of recording makes DirecTV Now’s DVR one of the worst, considering they didn’t offer anything earlier this year we’ll take what we can get. They also only support two simultaneous streams but offer a third for $5 more per month. If you have a larger family and want to watch DirecTV Now throughout your house, make sure to add the extra cost into your comparison to watch Comedy Central. If you’ve been looking to watch Comedy Central on your Roku, Fire TV, Apple TV, or other device that has a Comedy Central app, you may have been asked to provide a login from your cable provider. While this is a way to watch Comedy Central on these devices, once you cut cable you won’t have that login anymore. Thankfully, a lot of the services we mentioned above allow you to use your login credentials for those services in the Comedy Central app. You can also use them to login to the websites of certain channels and stream it directly into you browser. Whether you’re a first time cord-cutter, a cord-never, or you’ve been cable free for years, hopefully we’ve shown you plenty of methods for how to watch Comedy Central without cable. Even if the free trial isnt enough to get a good feel for one of the services we’ve mentioned, don’t worry too much about one. One of the biggest benefits of streaming services over cable is that you can add or subtract them every month. The days of cable obligations are over.